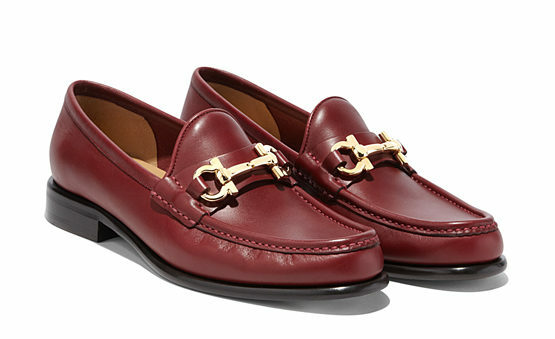 Salvatore Ferragamo is a luxury Italian fashion brand for both men and women. Salvatore Ferragamo is known for their craftsmanship in leather goods such as shoes, wallets, belts while also offering classic and timeless jewelry, timepieces, handbags, eyewear, and fragrances all crafted in Italy. The sleek and sophisticated designs range from classic suede oxford lace-ups for men to pumps that have been worn by the likes of Audrey Hepburn and Angelina Jolie. With Big Apple Buddy’s personal shopping service, you can now buy direct from Salvatore Ferragamo online store anytime, anywhere. Winter is fast approaching and Ferragamo’s nutmeg brown Continental Wallet comes in the perfect cozy beige to warm you up the season. A women’s purse says a lot about her, and her wallet says even more, made from calfskin leather this wallet comes complete with ten credit card slots, three main bill compartments and an outside zippered coin pocket, perfect for the busy, on the go women. The gold clasps add an element of versatility that makes the wallet wearable in any setting, whether it’s a night out or an office meeting. The Continental Wallet comes in over seven colors such as Indian Blue, Opera Red, and Smoke. The Gancio Mocassin are the new trendy flats that still give you an extra lift with it’s 1cm heel. These modish shoes come in both opera red and black. Made with top of the line calfskin and complete with a comfortable leather sole, you can now be stylish in comfort. The details in the stitching along the seams provide an element of glamour that is both subtle and minimalistic Ferragamo’s adjustable belt is the perfect statement piece. The extra-large gold nickel double Gancini buckle flawlessly accents the vibrant red of the belt, giving it an extra pop. This is the perfect belt to wear on a dinner date or a night out, as it is both dapper and suave, not to mention the two statement colors paired against each other are sure catch all of the ladies’ eyes. What’s great about Ferragamo belts is that they are adjustable and can be cut to size for a more tailored look. Pair this belt with a long-sleeve black thermal shirt and black pants, for the perfect casual look. 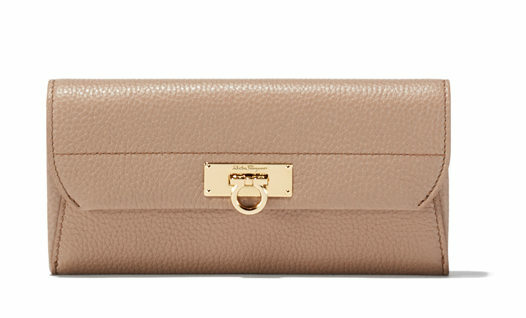 Unfortunately, the USA Salvatore Ferragamo online store does not currently offer international shipping. However, Big Apple Buddy, your personal shopper, can help you buy products direct from the official USA Salvatore Ferragamo online store and ship them to your doorstep, no matter where you are in the world. We offer international shipping to over 110 countries including Australia, Austria, Bahrain, Belgium, Bosnia & Herzegovnia, Brazil, Brunei, Canada, China, Croatia, Cyprus, Denmark, Estonia, Finland, France, Germany, Hong Kong, Hungary, Indonesia, Ireland, Israel, Italy, Japan, Kenya, Kuwait, Lithuania, Macau, Malaysia, Maldives, Mexico, Namibia, Netherlands, New Zealand, Norway, Oman, Pakistan, Portugal, Saudi Arabia, Scotland, Serbia, Singapore, Slovenia, South Africa, South Korea, Spain, Sri Lanka, Sweden, Switzerland, Taiwan, Tanzania, Thailand, UAE, UK and Ukraine. If you would like to buy from the USA Salvatore Ferragamo online store, simply let us know which items you would like to order (by filling out the form below) and we’ll get back to you with a free international shipping quote within 24 hours!